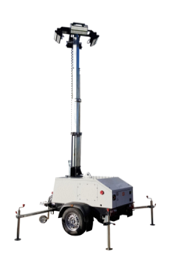 Mobile lighting towers for events, construction sites and industry. These tower lights are ideal if you need great visibility from a portable unit. Robust and reliable, SMC products can be used in a huge range of locations, from roadsides, mines and development projects, to photo shoots, film sets and farms. 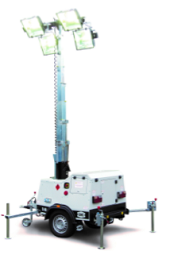 The SMC range of site lighting towers also includes higly efficient solar and LED models. Discover more below. Smart, small and sophisticated. 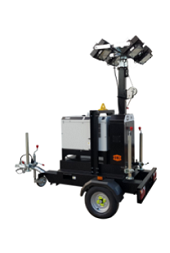 The compact SMC TL60 Trolley Light is easily transportable and developed to be handled by a single operator. It is small in size and footprint, fitting through a standard internal doorway, but big on output. Small, smart and adaptable. 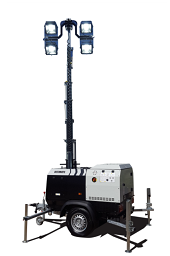 The compact SMC TL60 is an easily transportable lighting tower, small in size and fooprint, but big on output. Smart and manoeuvrable. 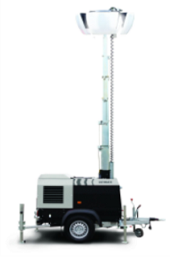 The compact SMC TL60 Road Tow offers and easily transportable tower that doesn't compromise on output. 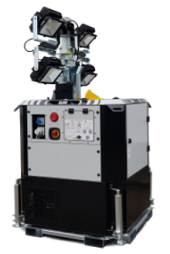 It has four powerful 300W LED lights providing in excess of 130,000 lumens with a run time of 16 hour (lamps only) and is available as a unit excluding generator or with a 2.1kVA diesel generator. 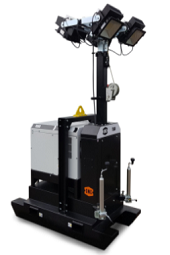 Designed to provide the market with a static eight-metre mast lighting tower, the SL80 Pallet represents a highly transportable and compact new option, enabling 22 units to be loaded onto a Euro Trailer. The Pallet is available with a Kubota Z482 or a Perkins 403D-07G engine and provides 265 hours running time from four 300W LEDs. The original. The Best. High performing Kubota engine. Metal halide lamps allow for strong and even light stream. Ten year proven safety record with Advanced Safety System fitted as standard. Redefining a legend. The British built TL90 reimagined to deliver the best performance on every level with a 50% increase in fuel capacity and run time. Delivering an additional 90 hours of operation and greater cost savings. 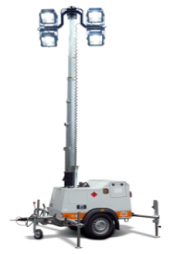 TL90 3e is a high efficiency lighting tower with Perkins 403D-07G 1500rpm engine. It has 4 x 300W powerful LED lamp heads offering directional clear and crisp light, up to 100 metres. Meeting the demand for a sustainable, environmentally friendly and low maintenance tower is the SMC TL55 Battery. Offering instant light from four LEDs, the SMC TL55 Battery does not compromise on power or quality. 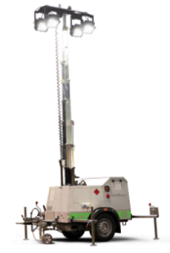 WIth both battery and mains supply provision, it offers flexible options for all applications on site. Like nothing before. The new SMC Halo light is unique soft lighting solution delivering 360 degrees 1200W diffused light from four 300W LED quadrants. 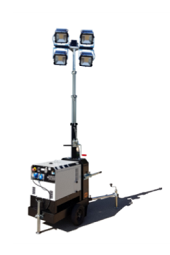 The 1200W Halo lamp head can be fitted to the TL90 lighting tower (Kubota engine only) and SL80 Pallet and is popular where strong light is needed but anti-glare is vital.